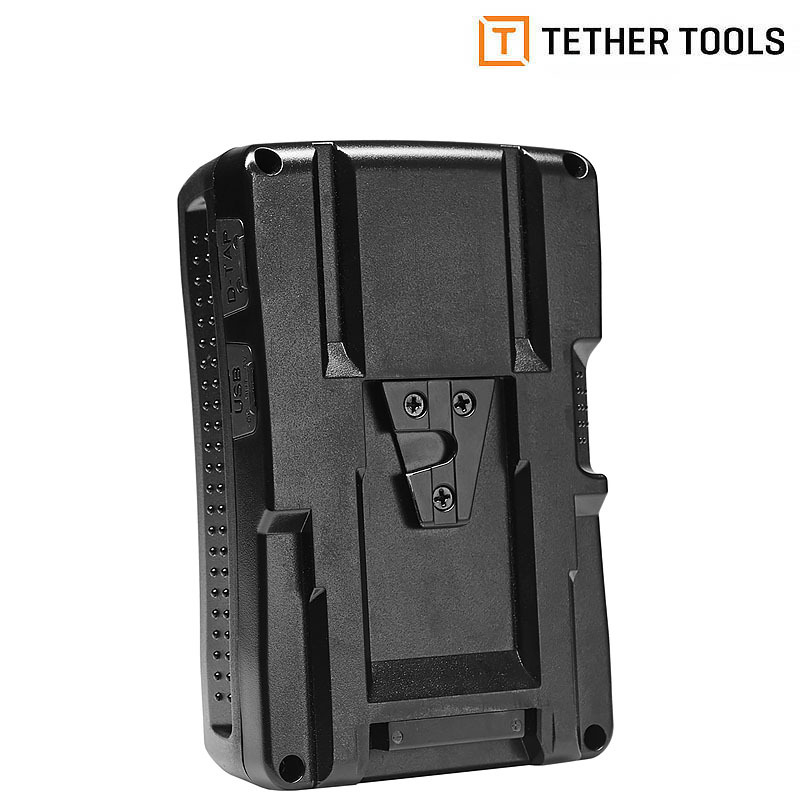 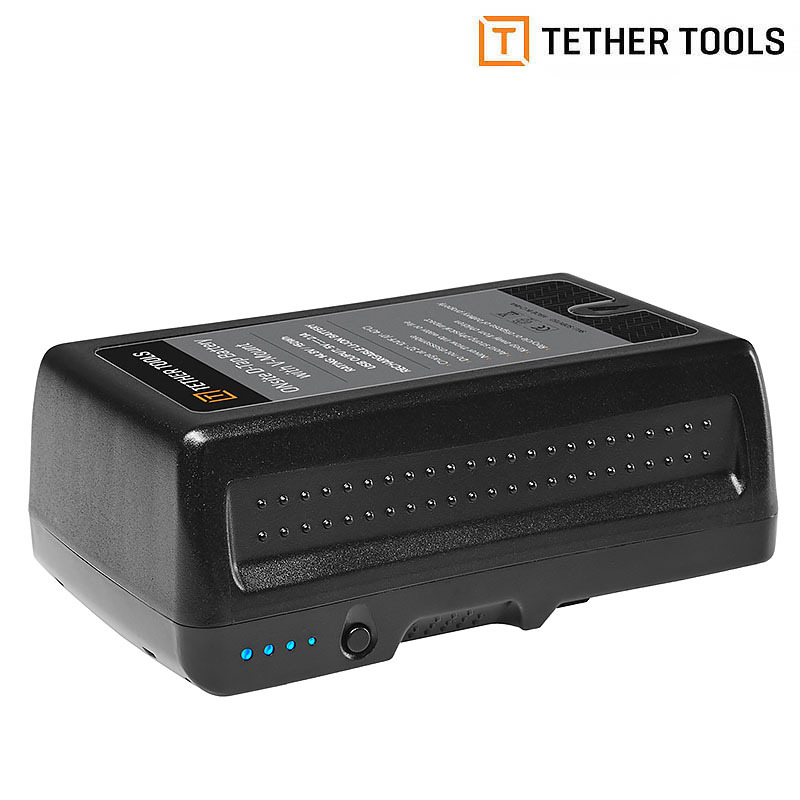 Hvad vil du vide noget om Tether Tools ONsite DTap Battery, V-Mount? 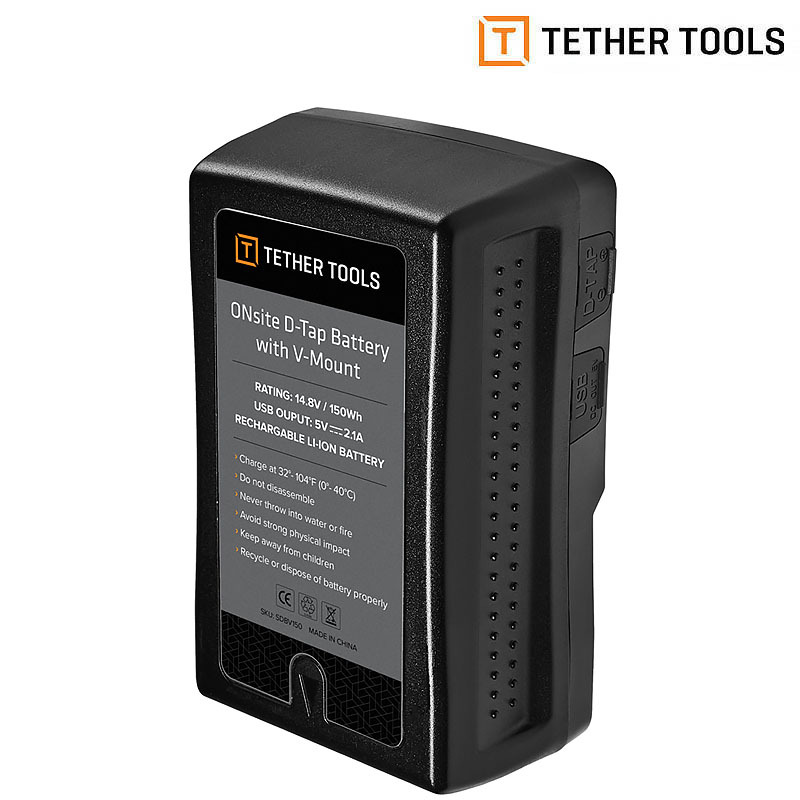 Tether Tools ONsite D-Tap Battery with V-Mount. 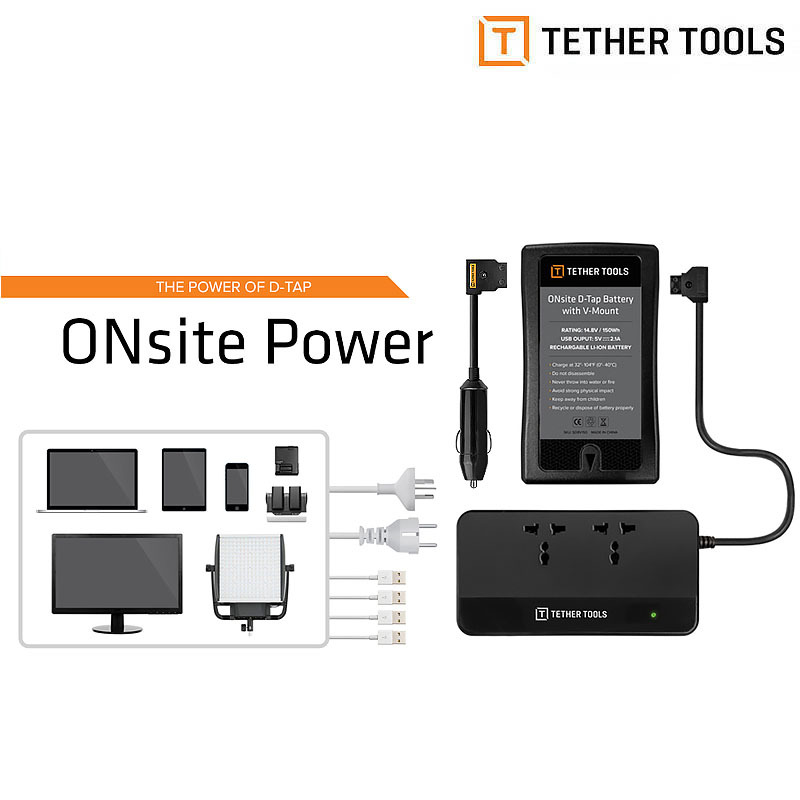 The ONsite Power Solution is an ultra-portable, long-lasting, and versatile power solution anchored by the ONsite D-Tap to AC Power Supply. 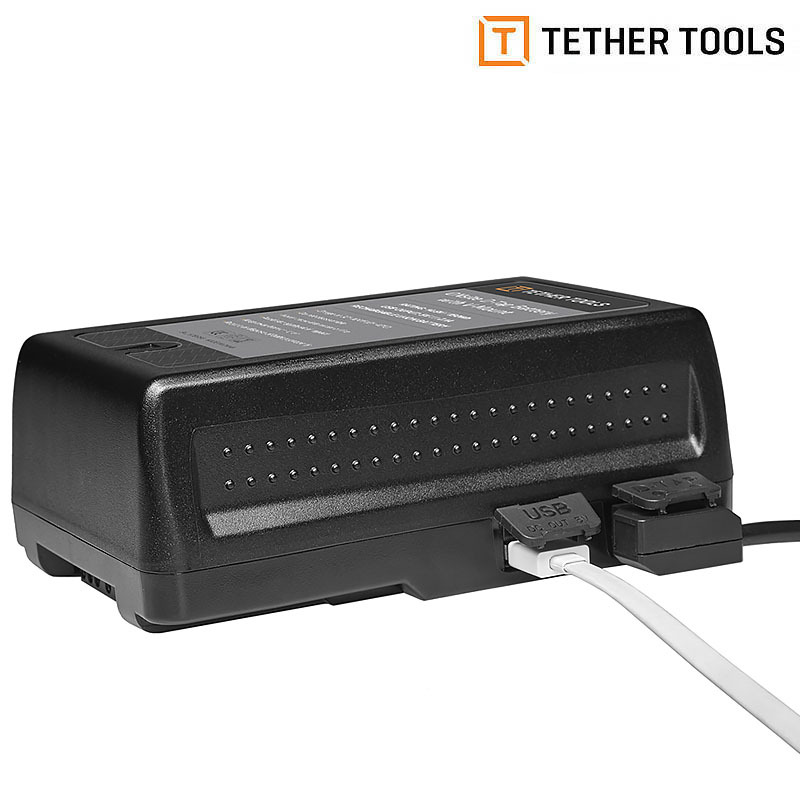 A first of its kind product, the ONsite D-Tap to AC Power Supply pairs with the ONsite D-Tap Battery with V-Mount to create two AC outputs and four powered USB ports for charging devices such as laptops, camera batteries, LED monitors and lights, tablets, phones and more – wherever power is needed.